The purposes of this study are to review evidence supporting the use of automated office blood pressure (AOBP) measurement and to provide practical guidance for implementing it in clinical settings. Mean AOBP readings correlate with awake ambulatory blood pressure monitor (ABPM) values and predict cardiovascular outcomes better than conventional techniques. However, heterogeneity among readings suggests that AOBP does not replace ABPM. Blood pressure (BP) measurement protocols differ among commonly described AOBP devices, but all produce valid BP estimates. Rest periods should not precede AOBP with BpTRU devices but should occur before use with Omron HEM-907 and Microlife WatchBP Office devices. Attended and unattended AOBP appear to produce similar results. This review also describes a framework to aid AOBP’s implementation in clinical practice. Evidence supports AOBP as the preferred method for measuring BP in office settings, but this approach should be a complement to out-of-office measurements, such as self-measured BP monitoring or 24-h ABPM, not a substitute for it. Ostchega Y, et al. Blood pressure randomized methodology study comparing automatic oscillometric and mercury sphygmomanometer devices: National Health and nutrition examination survey, 2009-2010. Natl Health Stat Report. 2012;(59):1–15. https://www.ncbi.nlm.nih.gov/pubmed/24984529. 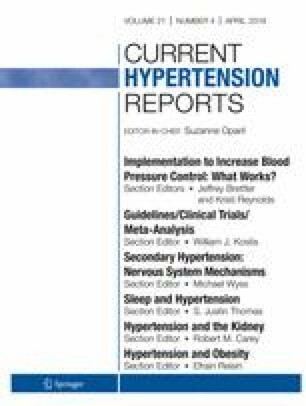 • Parati G, Ochoa JE, Bilo G. Moving beyond office blood pressure to achieve a personalized and more precise hypertension management: which way to go? Hypertension. 2017. A concise summary of the different approaches for measuring blood pressure. It provides a useful perspective for clinicians who use BP measurements from various sources, such as conventional, AOBP and out-of-office methods.;70. https://www.ncbi.nlm.nih.gov/pubmed/28760937. Agarwal R. Implications of blood pressure measurement technique for implementation of systolic blood pressure intervention trial (SPRINT). J Am Heart Assoc. 2017;6(2). https://www.ncbi.nlm.nih.gov/pubmed/28159816. Andreadis EA, Geladari CV, Angelopoulos ET, Savva FS, Georgantoni AI, Papademetriou V. Attended and unattended automated office blood pressure measurements have better agreement with ambulatory monitoring than conventional office readings. J Am Heart Assoc. 2018;7(8). https://doi.org/10.1161/JAHA.118.008994.